This childcare first aid course is specific to child educators and is nationally recognised for both asthma and anaphylaxis as laid down by the Childcare Regulations. This course is intended for childcare educators only. For a standard First Aid course please visit our Provide First Aid page. It’s great not having to do it in class. Online learning takes approximately 3 hours to complete. If you are just renewing your certificate, completing it shouldn’t take too long. Online learning will be emailed out from webmaster@everydayfirstaid.com.au, within 24 hours. Do not leave it to the last minute to complete the online learning. DO NOT FORGET TO PRINT OUT YOUR COMPLETION CERTIFICATE, SIGN IT AND BRING IT WITH YOU TO THE COURSE!! Students who have not completed the online learning will not be permitted entry to the course. Please note that if you’re booking multiple people on, we require unique email addresses for EACH person. Our online learning links are tailored to each person so we may track progress, and we’re unable to send online learning more than once to the same email address. 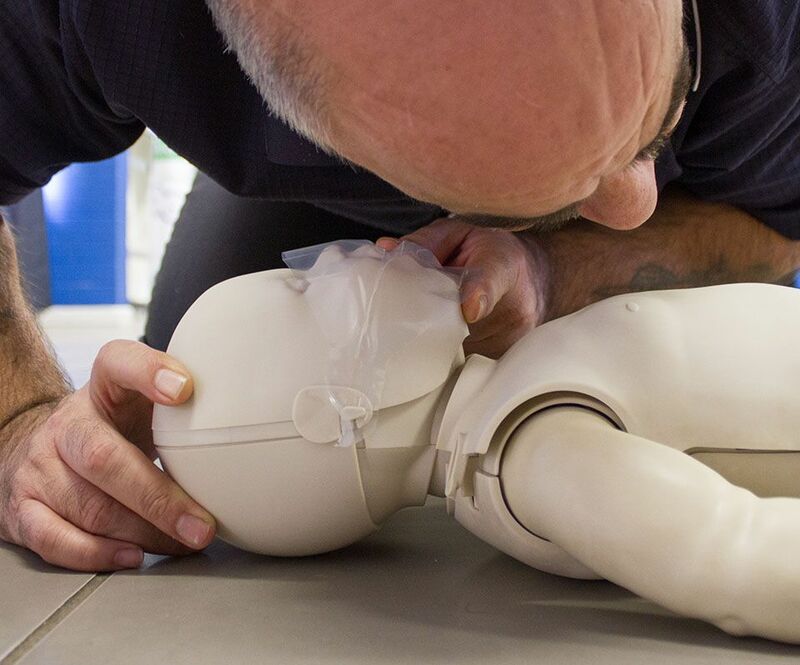 Each candidate must be able to perform at least 2 minutes of uninterrupted CPR on a child manikin placed on the floor. An Electronic PDF statement of attainment will be emailed out to you within 3 business days of completing the course. A wallet sized card Statement of Attainment can also be mailed out by request, at an additional fee. To keep your first aid certificate current, the Provide First Aid course (which includes CPR) should be renewed every 3 years and CPR should be renewed annually. When booking you should receive a confirmation email within 24 hours. If you do not receive an email within the allocated time frame and your junk or spam folders do not have your confirmation, then please contact us directly on the info above.